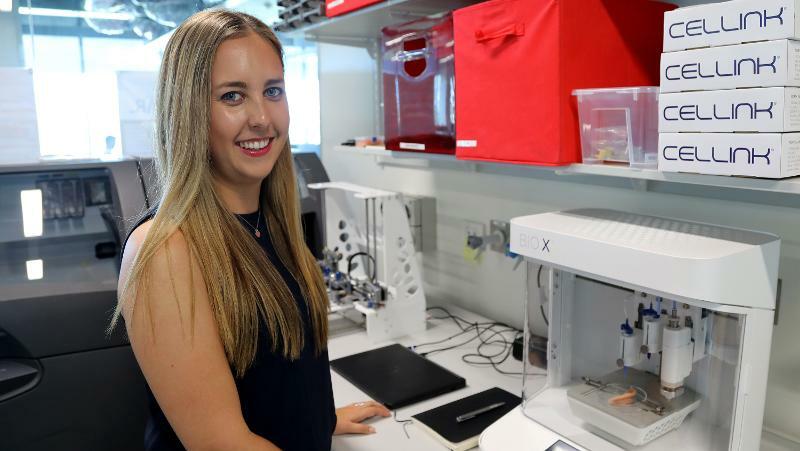 Biofab Alumni Naomi Paxton wins the Ezio Rizzardo Polymer Scholarship, which acknowledges the potential impact of an outstanding PhD candidate in polymer science or engineering. The Graduate Certificate in Biofabrication is a practical online course designed for professionals currently working in the fields of science, health, engineering and technology, as well as those who want to pursue a career in biofabrication. The next Graduate Certification from the University of Wollongong will commence 29 July 2019. The attached flyer has further information on the Graduate Certificate in Biofabrication, and the course summary can be viewed at the following link: https://coursefinder.uow.edu.au/information/index.html?course=graduate-certificate-biofabrication. Additionally, as an introduction, a MOOC in Additive Biofabrication will run commencing 28 January 2019 and is available here. A YouTube talk on history of solution and melt electrospinning by Prof. Dalton from University of Würzburg. A continuous printing path is required when using the melt electrowriting technology, which needs extra planning when a cylindrical collector is required. Erin McColl, during her overseas research stay at the University of Würzburg, used mathematics to calculate the printing path onto a cylinder, so that fibers can accurately stack upon each other. As reported in the journal “Materials and Design“, complex tubes can be fabricated this way, and Erin established an intuitive open-access website that automatically generates G-code so that the melt electrowriting of tubes can be established. The open access research paper “Design and fabrication of melt electrowritten tubes using intuitive software” can be found here. The website for calculating the printing paths can be found at http://mewtubes.herokuapp.com/. Würzburg – 29th-31st October 2018. Abstract submission closes 15th June 2018. BIOFAB Student Ouafa Dahri delivers a 3D bioprinting talk in the Netherlands (in Dutch). Australian and Utrecht BIOFAB students get together for a group photo, outside the state-of-the-art Hubrecht Institute at the University of Utrecht, Netherlands. BIOFAB-Alumni Student Naomi Paxton delivers a TEDx talk on biofabrication during her research stay in Würzburg, Germany.